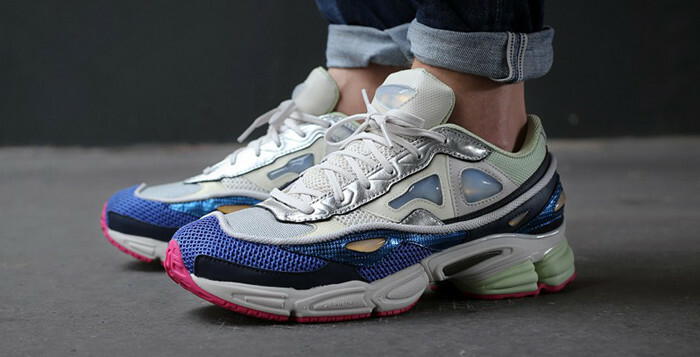 When Raf Simons places his talents behind something, we have certain expectations, and this adidas Ozweego 2 doesn’t disappoint. 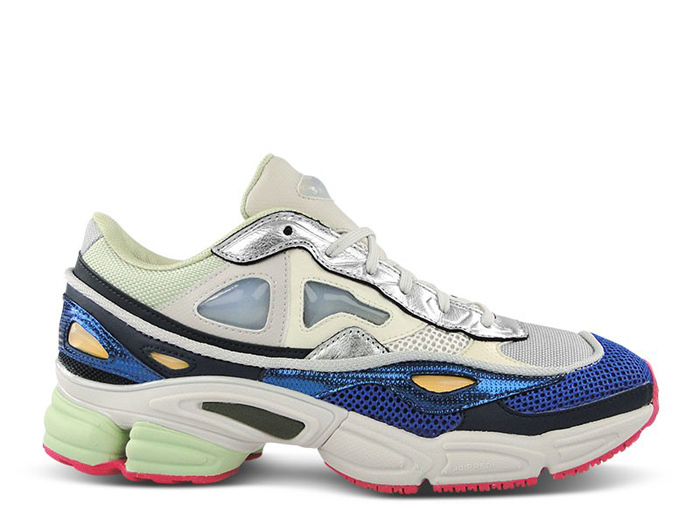 The designer took an original running shoe, and reworked it to achieve the futuristic vibe he’s known for. Featuring a multi-materialized leather and mesh upper with silicone detailing; as well as pops of silver, bold pink, blue and hints of other shades to off-set it all. Safe to say these are not for those with subtle style. 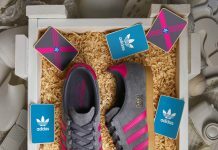 High-end adidas Originals retailers such as the Good Will Out are now stocked up.